I LOVE this "Vintage Vogue" set. And I just found out last week that it is still available and it will be in the new catalog!! So if you didn't get yours in the last mini catalog it is still available! I also used the "Thoughts & Prayers" set on this card too. Just to show you that it is not just a sympathy set. The "Vintage Vogue" is in the background. I did the "One Sheet Wonder" technique, which I will explain tomorrow. I wanted to post this card for a friend who is celebrating her birthday this month and I also want to post the "Vintage Vogue" clear mount set in celebration of my blog reaching One MILLION Hits! Can you believe it? It would have been cool to have logged on and see it at 1,000,000 but seeing over that mark is great too. I'm SO frustrated here trying to type up this post. My computer (which is not very old but it's got VISTA on it) is acting up again. It acts like something is running in the background and it won't let me type more than a couple letters at a time before it waits for something. The hard drive is working away on something and that is what is slowing it all down. It's very aggravating. Anyway, enough about my ranting. Now when I post blog candy I usually ask you to answer a question. And of course this one will not be any different! I'll keep it simple this time!! What's your favorite song? I will do a random drawing using the Random Number Generator to pick the winner so when you leave your comment on this post only please put the next consecutive number in front of it to make counting for me much easier. I will draw a name on Friday May 15th. 5-11-10 Well, the number thing isn't working out because of the moderation of the comments. I can't turn that off so I'll just count as I have done in the past. SO just leave your comment and I will count the entries by hand. Thanks SO much for trying! The drawing will be held at noon on the 15th. I always forget some details!!! My fave song Wanda is Amazing Grace My Chains are Gone by Chris Tomlin. Love your creation today very nice. Beautiful Card. I love the colors and can't wait to learn the technique. Thanks for sharing. Great card! Love the colors. Favorite song is really difficult to pick one, I have so many favorites. I'll go with Let There Be Peace on Earth. Hope you have a lovely week. Thanks for the chance to win. I do read to the end! Wow, congrats on so many visits and thanks for offering blog candy. 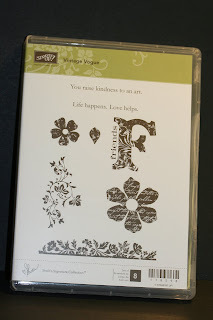 Your card is so pretty and I appreciate the chance to win the stamp set. Rod Stewart is my favorite singer and Maggie May is my favorite song. Love your blog. My favorite song is Rough Side of the Mountain. Thanks for sharing your awesome talent!!! 9. Like usual, I love your birthday card. One of my favorite songs is "Have I told you lately that I love you", with "Save the last dance for me" almost tied!!!! Congrats on all those hits! I don't make it to the computer every day but always pop in for a visit when I do. My fav song "What A Wonderful World!" Thanks for the oppertunity to win. 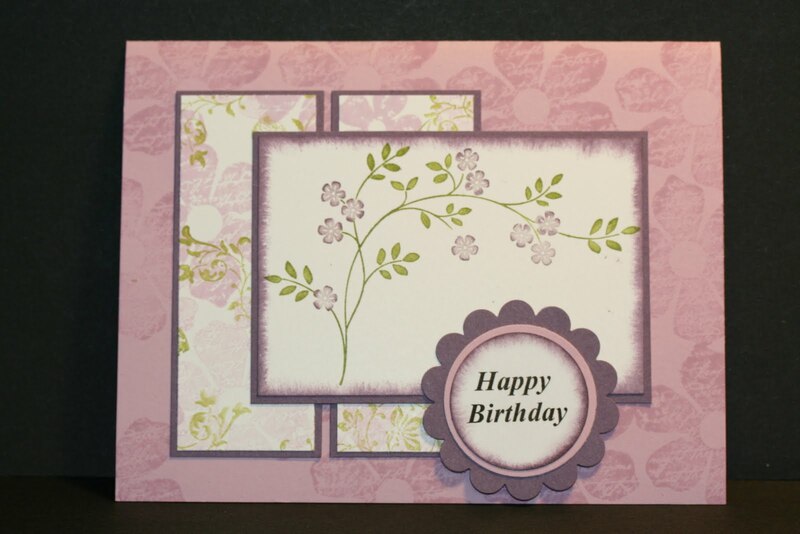 I really like how you combined the two stamp sets - it makes a beautiful card. Just wonderful. As far as a favorite song - I guess I'd have to say Amazing Grace. You just can't hardly find a prettier song as far as I'm concerned. It's really hard to pick a favorite, because there are so many wonderful songs. So I'll go with our national anthem, The Star Spangled Banner. I just love watching the Olympics and hearing the national anthems of the different countries played--but, of course, especially ours. Your work is always so amazing! I try to look in on your blog a few times a week, my goal is to be more of a commentator and less of a lurker. Hard to choose one favorite song, but anything by Carol King, especially her song, Tapestry makes me swoon. 13. My favorite song right now is "Hey Soul Sister" by Train. It just keeps going around and around in my head. Like the card, too, might have to make a couple when I stamp this month. Thanks for the chance at blog candy. lovely card! congrats on 1 million hits and sorry i missed the candy!